The Central Election Committee of the Bharatiya Janata Party (BJP) met today (23 March 2019) under the Presidentship of Shri Amit Shah. Meeting was attended by Shri Narendra Modi, Hon’ble Prime Minister, Shri Rajnath Singh, Minister of Home Affairs, Shri Arun Jaitley, Minister of Finance, Corporate Affairs, Smt. Sushma Swaraj, Minister of External Affairs, Shri Nitin Gadkari, Minister of Shipping, Road Transport and Highways, Water Resources, River Development and Ganga Rejuvenation and all other members of the Central Election Committee of the BJP. Q. Why you left your job as a doctor? I left my job because Keonjhar is a tribal dominated district of Odisha. Though Keonjhar is minerally rich district and government generates a huge income out of that, but here the people are deprived of the basic necessities of life. In my last job as a doctor I could only focus on the healthcare sector that too in my area therefore my area of operation would be limited. So I left my job for a bigger cause and for the interest of my entire district, where I can dedicate myself for the overall development of my District. Secondly, under PM Shri Narendra Modiji India is establishing new records and breaking old records and this is a golden period on the history of the country. Under his strong leadership the country is moving ahead with utmost speed and in every sector it will create milestones. The PM Modi’s dedication and commitment influenced me a lot and forced me to take a decision to join BJP to carryout my social service further by quitting my job. I know even under his leadership I can fulfill my dream of the development of my backward district Keonjhar. Q. What are the social activities undertaken earlier? Health camps and awareness programs among the people regarding few dreaded diseases like, Malaria, Tuberculosis, Cirrohosis, jaundice and also towards reduction of Infant mortality and maternal mortality. Plantation for curbing pollution and creating awareness regarding pollution control since Barbil and Joda area are mostly affected by pollution because of the mining activities. Swachh Bharat Abhiyan and drug eradication. Q. Why you choose politics over social service? Keonjhar is a neglected district in areas of providing basic necessities for the people like Healthcare, Education, Agriculture, drinking water, public transport and unemployment. I feel in recent past all the people’s representatives of Keonjhar have failed to address the issues or failed to influence the decision makers either at the state or the centre. So I felt I can raise the issues of Keonjhar at the appropriate forums where the basic necessities of the people of Keonjhar are addressed. And I feel politics is the best platform to fight for the cause of people of Keonjhar. Q. What are your plans regarding the development of Keonjhar? My plans regarding Improvement in Keonjhar district will be basically to cater to the weaker section of the society and also take care of the overall facility development in the district of Keonjhar. For farmers the development of regulated markets so they get the best price of their produced agricultural products also setting up of Cold storage facility in Keonjhar district. Special projects to be taken up towards the mining laborers and their children and establishment o f crèches for their children. Utilization of District Mineral Fund towards the development of the district. In a report published in Indian Express the state govt has allocated 6438 cr towards 11434 different project in 8 districts where mines are in dominance. Out of the total fund allocated only 1100 hundred crores were utilized. To add to the misery out of 11434 projects only 771 projects were taken up in Keonjhar district with 90% focus towards high priority areas. But it’s unfortunate that the district administration has not able to submit the project reports and none of the high priority projects like drinking water, sanitation, pollution control have majorly taken up. To add to the misery the district collector has taken up project to construct 300 crèches in the entire district to cater to the children of the mining laborers in collaboration with a NGO from Jharkhand “EKJUT”. But nothing seems to have taken up. We Keonjhar people are not aware, why there is no progress in this and whose interest was intervened for which the project dint take up. Would also priorities the Health sector in terms of Infrastructure development and staff availability to cater to the people of Keonjhar. Q.What will be your focus areas in the development of Keonjhar? Since Keonjhar is a Tribal dominated district and ay behind in development compared to the other district of our state. My focus areas will be providing the basic amenities to the people of Keonjhar like Education: Education to all, crèches for the mining workers children Health care: Establishment of medical college which is pending since long where as the adjoining districts the colleges have already started, proving proper facility like staff quarters and other facilities which will motivate the medical and paramedical staff to join even in the remote areas. Also work toward the life threatening disease like malaria, TB and also curb child and maternal mortality. Facility management for the mining workers like providing them concrete houses, proper drinking water and sanitation facilities, because they are still staying under inhuman conditions leading to illness and early deaths. 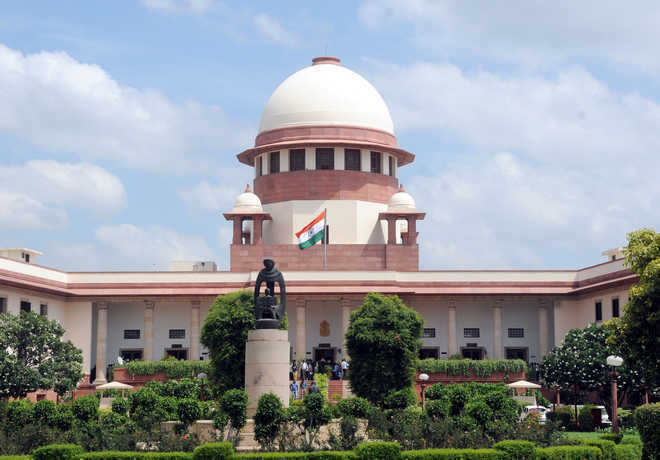 The Supreme Court on Thursday delivered a split verdict on the contentious issue of control of services in the National Capital Territory in the tussle between the Delhi vs Centre and referred the matter to a larger bench. A two-judge bench comprising Justices A K Sikri and Ashok Bhushan, however, agreed on their views on disputes pertaining to the anti-corruption branch, setting up of commission of inquiry, control over electricity boards, land revenue matters and appointment of pubic prosecutors. The apex court also upheld the Centre’s notification that its employees cannot be probed in corruption cases by ACB of Delhi government. The top court also said that instead of the LG, the Delhi government will have the right to appoint public prosecutors or law officers. The Delhi unit of the BJP on Thursday welcomed the Supreme Court judgment saying it removed ambiguities in the powers of the Delhi government. There should be no scope for “confusion or conflict” and the AAP government should humbly accept the Supreme Court judgment, Leader of Opposition in the Delhi Assembly Vijender Gupta said. “We welcome the Supreme Court decision removing ambiguities in the powers of the Delhi govt. After this verdict there shouldn’t be any scope for confusion or conflict. The Delhi govt should humbly accept it & govern the capital as it was being done before they had come to power,” he said on Twitter. A two-judge bench comprising Justices AK Sikri and Ashok Bhushan, however, agreed on their views on disputes pertaining to the Anti-Corruption Branch, setting up of a commission of inquiry, control over electricity boards, land revenue matters and appointment of public prosecutors. The apex court also upheld the Centre’s notification that its employees could not be probed in corruption cases by the ACB of the Delhi government. The SC on January 15 asked the West Bengal government to allow proposed public meetings and rallies of the BJP under its “Ganatantra Bachao Yatra (save democracy rally)”. A bench headed by Chief Justice Ranjan Gogoi asked the BJP’s West Bengal unit to submit a revised schedule of its proposed yatra with the authorities and seek necessary approvals. The bench also comprising Justices L.N. Rao and S.K. Kaul asked the West Bengal government to consider the revised schedule of the BJP yatra, keeping in mind the fundamental right of speech and expression under the Constitution. The bench said the apprehension of the State government of a possible law and order situation cannot be called “unfounded”, and the BJP will have to take all possible steps to address the apprehension in a reasonable manner. The top court had earlier sought response from the state government on the BJP’s plea seeking permission to take out the yatra in the State. The BJP’s Bengal unit challenged the December 21 order of a division bench of the Calcutta High Court, which had set aside the order of a single-judge bench allowing the procession. It had also asked the BJP State unit to submit a revised plan for the yatra for consideration by the State government. 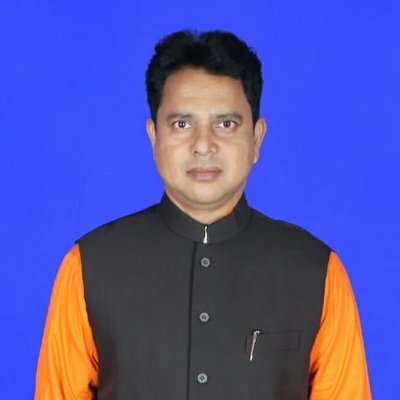 The BJP has now decided to cut its 40-day programme to 20, and the fresh yatra would start from Baharampur in Murshidabad district, Diamond Harbour in South 24-Parganas district, Medinipur and the Kolkata North Lok Sabha constituency, a lawyer associated with the matter said, adding that the decision was taken in view of the upcoming school examinations and the general elections. Earlier, the BJP’s West Bengal unit had approached the apex court seeking permission to take out the rally, which would cover the 42 Lok Sabha constituencies in the State. In its plea, the BJP has said that their fundamental right to hold a peaceful yatra cannot be withheld. The High Court’s division bench had sent the case back to a single-judge bench to hear it afresh and also to consider the intelligence inputs by State agencies. The rallies, according to the original schedule, were supposed to be flagged off by BJP president Amit Shah from Cooch Behar district on December 7, Kakdwip in South 24-Parganas on December 9, and from Tarapith temple in Birbhum on December 14. In the plea filed in the top court, the BJP’s West Bengal unit contended that authorities cannot abridge their right and they have a duty to facilitate them in exercising their democratic right. The BJP alleged in the plea that the State government was repeatedly “attacking” the fundamental right of citizens due to which different petitions have been filed challenging the activities of the State government in denying permission to different organisations. It has claimed that earlier too, permission was denied several times at the last moment to “harass the BJP” which later moved the High Court and that the party “is facing such political vendetta since 2014 in West Bengal”. The Army on Friday staged a flag march in Jammu and Kashmir’s Kishtwar town where curfew was imposed after a senior BJP leader and his brother were killed by suspected terrorists Thursday night, officials said. District Magistrate Kishtwar Angrez Singh Rana said the situation was tense but under control. “The Army staged a flag march in Kishtwar town in order to maintain law and order,” District Magistrate Kishtwar Angrez Singh Rana told PTI. Mr. Rana said the curfew, which was imposed in the town late night Thursday, was strictly in place and additional security personnel were deployed in sensitive areas of the town. There were no reports of any untoward incidents, Mr. Rana said. SSP Kishtwar Rajinder Gupta said a hunt was launched to track down those involved in the case. Following the killing of BJP state secretary Anil Parihar, 52, and his brother, Ajeet Parihar, 55, by terrorists, people had staged angry protests in the communally-sensitive town and manhandled senior police officials. The district magistrate had requested the Army in the town and its adjoining areas to control the internal security situation that arose due to the killings. He took the decision as he apprehended that violence might erupt and result in law and order problem, endangering the life and property of citizens of Kishtwar town. The killings of Parihar brothers drew severe condemnation from all quarters. The senior BJP leader and his brother were killed when were returning home after closing their stationary shop located outside old DC office complex, officials said. As two were walking towards their home in Parihar mohalla through a dark lane in Tapal Mohalla, they were fired upon from a close range by suspected militants around 8.40 pm, they said. The assailants were apparently waiting for the brothers to return home, they said. The people rushed to the spot after hearing gunshots and rushed them to the district hospital in Kishtwar where they were declared brought dead, they added. As the news spread locals rushed to hospital and the brothers’ house, where they held protests against the alleged failure of the administration and the police. Angry people manhandled policemen, including the SSP, after arguing with them. They also clashed with the police and forced them to leave the hospital. The angry mob raised anti-Pakistan slogans demanding arrest of those involved in the killings. The protestors later also took to streets and held a protest near the Kishtwar Police Station. Anil Parihar was active in politics for over 25 years and had unsuccessfully contested the 2008 Assembly elections on a Jammu and Kashmir National Panther Party (JKNPP) ticket. Ajeet Parihar was an employee of the State Forest Corporation (SFC). Noting that access to medicines is a “big concern” for the poor, Prime Minister Narendra Modi on Thursday said his government is committed to decreasing the financial burden and ensuring affordable healthcare for every Indian. He stressed on the need to make health a mass movement through public participation. Interacting with beneficiaries of the Pradhan Mantri Bhartiya Janaushadhi Pariyojna (PMBJP) and affordable cardiac stents and knee implants through video bridge, Modi said his government is working to provide more beds, hospitals and doctors and has taken one step after another to bring down treatment cost for the poor. “We have to make efforts to make public health a mass movement through public participation,” he said during his fifth such interaction in the series with various beneficiaries of government schemes. The prime minister noted that illness not only creates a huge financial burden on families, especially the poor and middle class, but also affects the socio-economic sector. “It is the endeavour of the government to ensure affordable healthcare to every citizen,” he said. Observing that the PMBJP was launched with the intention to make the poor, lower middle class and middle class get access to affordable medicines and reduce their financial burden, Modi said more than 3,600 Jan Aushadhi Kendras have been opened all over the country, where over 700 generic medicines are available at affordable price. “The cost of medicines at Jan Aushadhi Kendras is 50-90 per cent less than the market price. The number of Jan Aushadhi Kendras will reach over 5,000 in the near future,” he said. On the government’s ambitious Ayushman Bharat programme, he said under it, around 10 crore families, that is around 50 crore people, will be given health insurance cover of Rs 5 lakh. “The first phase of this yojna has been initiated and soon people across the country will get benefited by it,” he said. As people living in small villages or towns find it difficult to go to a hospital or health centre that is very far away, the government has decided to open around 1.5 lakh health centres across the country under Ayushman Bharat, Modi said. Apart from medicines, diagnostics facilities will also be available there, he said. “In the last four years, our government has taken one step after the other so that the cost incurred by the poor for treatment can come down. “I can say with satisfaction that we have chosen the right direction, taken the right path, made the right policies and they are now reaching the grass roots level…We have worked in mission mode,” he said. Modi said access to medicines is a big concern for the poor and the government’s constant endeavour is to “ensure affordable healthcare to every Indian”. Several people are benefiting from the PMBJP, he said. He also noted that the government has reduced stent prices substantially, benefiting the poor and the middle class the most. Earlier, people had to sell or mortgage property to purchase stents, Modi said, adding that the cost of heart stents has reduced from around Rs 2 lakh to Rs 29000. Although knee-related issues are common, the prime minister said their treatment was not common earlier as those who had the money could ensure treatment. The government has reduced knee transplant prices by 60-70 per cent, thereby bringing down the cost from Rs 2.5 lakh to around Rs 70,000?80,000, he said. “It is estimated that around 1 to 1.5 lakh knee operations happen in India every year. On that account, the reduction in knee transplant prices has saved close to Rs 1,500 crore for public,” he said. The prime minister noted that the cost of dialysis too was high and it was available in selected cities and keeping that in mind, the PM Rashtriya Dialysis Yojna was started through which the government has performed more than 22 lakh dialysis sessions for 2.25 lakh patients in more than 500 districts. He said that more than 90 medical colleges have been opened which has led to an increase of 15,000 MBBS seats. “India would become great and healthy only when its 125 crore citizens are healthy,” the prime minister said while stressing his government aims to eradicate tuberculosis from India by 2025, five years ahead of a globally set deadline. “The world has decided that by 2030, TB will be eradicated. We in India decided why wait for 2030. That is why we have made a programme to eradicate it five years ahead of the global deadline,” he said. Modi said that the government has also started a huge campaign for immunisation and more than 3.15 crore children and 80 lakh pregnant women have been vaccinated in 528 districts through Mission Indradhanush. “Our target is that till 2020, all those children are immunised who have not been immunised or have been partially immunised, so that they can be saved from 12 different diseases,” he said. Ahead of the International Yoga Day on June 21, the prime minister appealed to people to practice yoga and make it a part of their life. Three weeks ago, at the Central Hall of Parliament, BJP president Amit Shah told me quite categorically that the CPI(M) would be swept away from Tripura in this election. To be honest, I felt he was overstating the extent of the BJP surge in a State where it had polled less than two per cent of the popular vote in 2013 and had never won either an Assembly or Lok Sabha seat. That the BJP was dominating the anti-Left space and had squeezed out the Congress was apparent. But against the excitement and momentum the BJP campaign had generated was the organisational depth of the CPI(M) and its formidable election machinery. In the end, the intensity of accumulated resentment against 25 years of Left rule proved too powerful. Tripura witnessed one of the biggest electoral upsets by recording a clear and emphatic victory, its coalition winning the endorsement of both the Bengalis and the tribal communities. It has been customary for Middle India to pay little or no heed to the manner Indian democracy functions in the North-eastern States of India. Worse, there is an inclination to debunk its workings with dollops of condescension, as Congress leader Ashok Gehlot did when he brushed aside the Tripura outcome as indicative of the North-east’s tendency to tilt in the direction of the Centre. Why, therefore, should the Tripura verdict be viewed as different, apart, of course, from the sheer magnitude of the change? To begin with, the battle in Tripura was not a clash between regional parties that are often inclined to negotiate their positions on the politics at the Centre. Initially it was viewed as a triangular battle between the incumbent CPI(M), headed by a man who was often praised in Left-liberal circles as the most honest and unassuming Chief Minister in India, a weakened Congress and a rising BJP. True, the BJP had among its candidates a disproportionate chunk of erstwhile Congressmen – including a former PCC president. But that is not surprising considering that at one time the Congress was the only worthwhile opposition to the Left. Once the centre of gravity of anti-Left politics shifted away from the Congress – a process that began in 1996 when the Congress and Left teamed up at the Centre to keep out the BJP – there was an inclination of these activists to scour for new homes. In West Bengal, they rallied round Mamata Banerjee and the Trinamool Congress. In Tripura, they found a home in the BJP. Secondly, in the two months between the results of the Gujarat Assembly elections and Saturday’s results from Tripura, the media had been systematically broadcasting the apparent retreat of the BJP and the simultaneous advance of a ‘rejuvenated’ Congress under Rahul Gandhi. The gains made by the Congress in Gujarat, its wins in three by-elections in Rajasthan and its success in retaining two seats in Madhya Pradesh were cited as evidence of a growing mood shift that would culminate in the BJP’s defeat in the 2019 general election. It was this reading of the public mood that was also a factor in the very convoluted (and largely media) campaign to link the scams of diamond trader Nirav Modi to the BJP Government and even the Prime Minister. What Tripura has demonstrated is of considerable significance. Apart from indicating that the BJP has enough political reserves to mount an extremely successful campaign in an area where it barely had a presence, the victory suggested the continuing attraction of both Prime Minister Narendra Modi and the Government at the Centre. Exit polls have indicated that the support for the BJP was particularly marked among the youth, suggesting they associate the party with the yearning for a better life. BJP campaigners have also suggested that women voters too gave exceptional support to the BJP. Both these trends reinforce the findings from the Gujarat elections. Thirdly, despite putting on a brave face and pointing to the Congress’ relatively better performance in Meghalaya, there is little doubt that the Opposition to the BJP is shell- shocked. That it was the formidable CPI(M) that suffered a crushing defeat has only made it worse. Mamata, for example, admitted quite openly that she would have been happy had the CPI(M) won in Tripura. It is likely that the Tripura outcome will have a direct bearing on the outcome of the Prakash Karat-Sitaram Yechuri difference. It will perhaps even tip the scales in favour of the incumbent general secretary and encourage a larger anti-BJP mahagathbandhan. On the other hand, the smaller regional parties that have limited national ambitions could, however, be tempted to gravitate towards the BJP and the National Democratic Alliance. My feeling is that the Tripura verdict will encourage a move towards bipolarity – BJP versus anti-BJP – for the 2019 election. This implies that the BJP has to persevere relentlessly in its bid to enlarge its social base, particularly the poorer sections that have not been traditional supporters of the party. In short, the next 12 months has to witness the Modi Government has to work overtime to ensure maximum delivery of its Central schemes. People will renew their mandate for Modi once they are convinced that the direction of governance is positive and that the quality of their lives is improving. The Prime Minister’s cult following is based on a combination of both hope and performance. And a fierce sense of integrity.